At PBN, we love wood. The long history of fine woods lovingly crafted into musical instruments is deeply ingrained in our design philosophy. Our enviable inventory of wood veneers is kept under lock and key – and our sources carefully protected. We select only premium veneers and solid hardwoods…and always with an experienced eye for natural beauty and distinctiveness of grain and pattern. 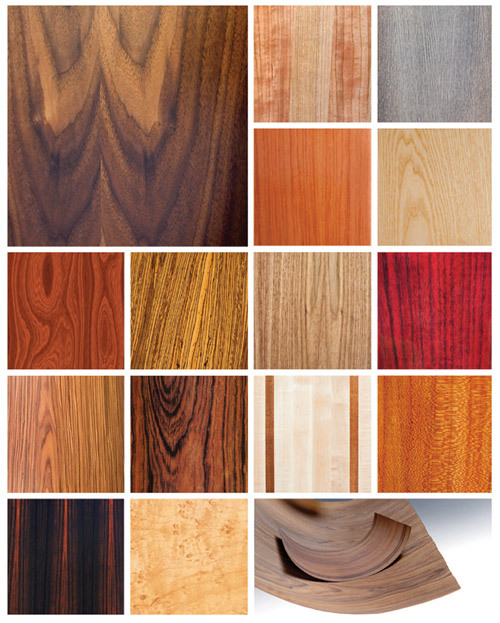 Classic American hardwoods – maple, oak, cherry and more – are supplemented by tropical woods we diligently search out. We can also create precise inlay striping. But the unfinished veneer is just the start. We have a full spectrum of stains and finishes that bring the cabinets and plinths to subtly glorious life, painstakingly gluing, sanding, and finishing each piece by hand. Below is just a sample of the effects we have created in our shop. If you prefer painted cabinets, we offer a full spectrum of colors in high-gloss mirror-like finishes. Our skilled airbrush artists can create striking and highly original effects with subtle color-over-color shading. From classic black to dramatic reds and yellows, we will work with you to find the right look for your room setting and personal taste. Our three-layered solid hardwood plinths for the GrooveMaster Series turn heads wherever they are displayed. Every pore, every growth ring, each burl or eye-pleasing irregularity is brought to vivid life in deep, liquid-like finishes. The 120-degree angles that offset each layer create patterns that endlessly fascinate. Make no mistake; each is an original piece of woodcrafting art – and the perfect base for producing rock-solid, flawless music. PBN uses only the finest components and materials, including paints, veneers and glues. Every standard of manufacture is strictly met or exceeded. PBN is an international company, shipping around the world to countries that may experience extremes of temperature and humidity that create conditions unsuitable for fine cabinetry. Please be aware that a phenomenon called “checking” may damage veneers due to extremely low humidity. If too much moisture is drawn out of the air, even the most expertly applied veneers will unavoidably dry out, shrink, and either crack or part at the seams. The finest quality glues and varnishes used by PBN cannot prevent “checking” in these conditions. We recommend that you use at least one humidifier near speakers with veneer finishes to prevent this from happening. BE ADVISED: PBN CANNOT WARRANTY SPEAKERS AGAINST EXTREME ATMOSPHERIC CONDITIONS BEYOND ITS CONTROL. 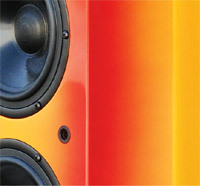 We encourage you to buy from your local PBN Audio dealer – they are uniquely qualified to optimize your PBN Audio experience. Please note that any purchases of PBN Audio products not made through a local or regional sales representative will not be eligible for the full product warranty.